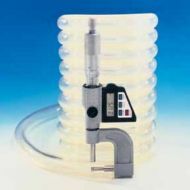 Designed specifically for use in peristaltic pump applications, Tygon® XL-60 tubing maintains a pump life of over 500 hours. 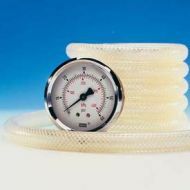 With a durometer hardness of Shore A 60, it is extremely flexible and exhibits superior flex life, reducing downtime due to pump tubing failure. 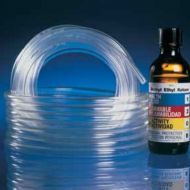 Tygon® XL-60 tubing can be considered an alternative to silicones and PVC when longer pump tubing life is required. 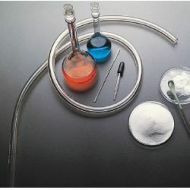 In order to be effective in highly regulated industries such as hospitality and institutional cleaning , dispensing tubing materials must be resistant to the chemicals found in various cleaners used during that sanitation process, as well as those found in the food product itself. 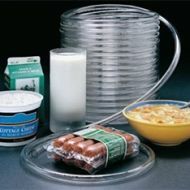 Depending on the food and beverage product, cleaner, and/or temperature to which the tube is exposed, the tubing may require varying levels of chemical resistance. 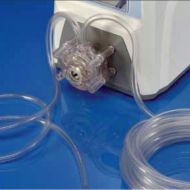 For example, products with alcoholic or acidic content, such as wine or orange juice can degrade of damage the tubing at a faster rate than products such as iced tea. Tygon® 2375 chemical resistant tubing for food and beverage applications offers and unequalled combination of chemical resistance, clarity and flexibility. Tygon® 2375 tubing is virtually unaffected by acids, bases, ketones, salts and alcohols. 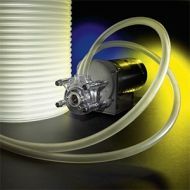 Tygon S3™ B-44-4X I.B is designed specifically for food and beverage dispensing applications involving elevated pressure. 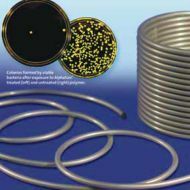 Tygon pressure tubing has the identical product feature found in Tygon S3™ B-44-4X tubing (clear, lightweight, flexible smooth, non-porous) bore to inhibit particle entrapment, outstanding resistance to harsh alkaline cleaners and unaffected by commonly used sanitizers), with reinforcement added to withstand up to four times the pressure. Light in weight and easy to handle, Tygon S3 B-44-4X I.B. can be put into service quickly. It readily bends to accommodate abrupt corners and obstructions, requiring a minimum of couplings and fittings. Its flexibility can save up to one-third the footage and much of the labour required to install rigid stainless steel, glass tubing or piping. Tygon S3™ E-LFL tubing from Saint-Gobain is proud to be among the first companies to offer sustainable flexible tubing products. The bio-based Tygon S3™ product line combines the high performance standards customers demand with and eco-friendly tubing design. 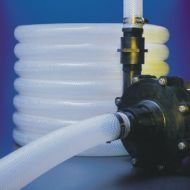 Tygon S3™ E-LFL tubing is our best performing persistaltic pump tubing and has no industry equivalent. 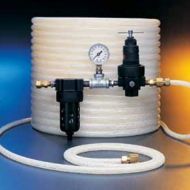 It has been rigorously tested to ensure that it meets the same physical standards as the old Tygon® LFL tubing, including 1000 hours of persistaltic pump tubing life at 0 bar back pressure, low particulate spallation and chemical resistance.